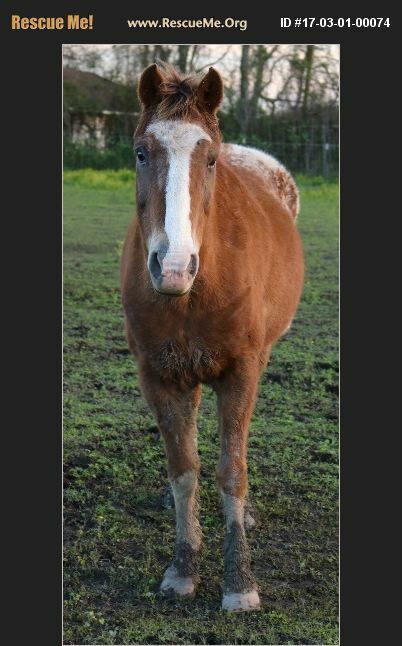 Tonto is an Appaloosa gelding who was born about 3/2005 who is roughly about 14.3 hands. He is up to date on shots, has had his teeth floated and negative coggins. Tonto was seized by a local animal control when he was tied to a tree with no food or water. When originally taken in he was severely emaciated. Tonto suffered some type of trauma to his left eye. We believe he was hit with an object; the blow was so severe it fractured his eye orbit and affected the globe. He seems to see fine out of the eye. He is broke to ride, but at this time gets a little nervous with a rider we believe whomever had him was not nice when they rode him so he needs at least an intermediate level rider or will need a touch up from a trainer with a gentle hand. He is a big love on the ground loves to be petted and seeks attention. Tonto holds no ill feelings towards people from his previous abuse and neglect he is a sweet guy and likes people.